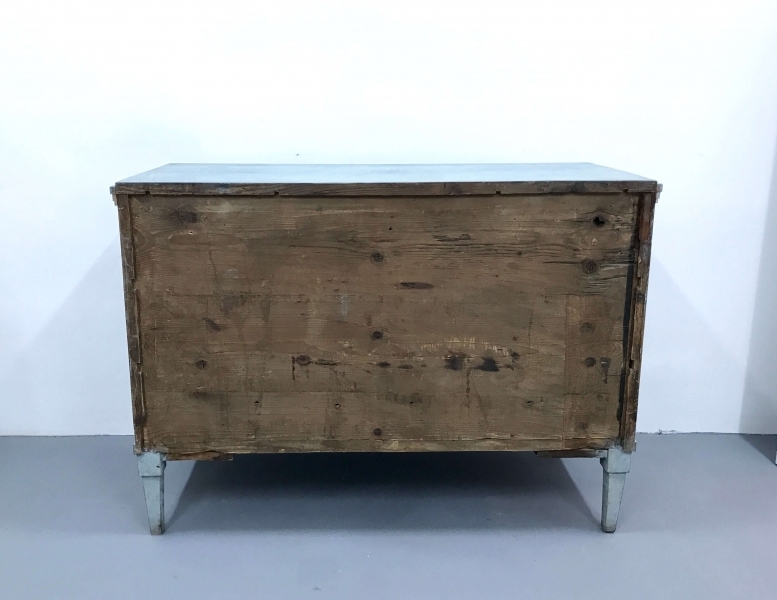 Atypical Gustavian chest with three drawers . 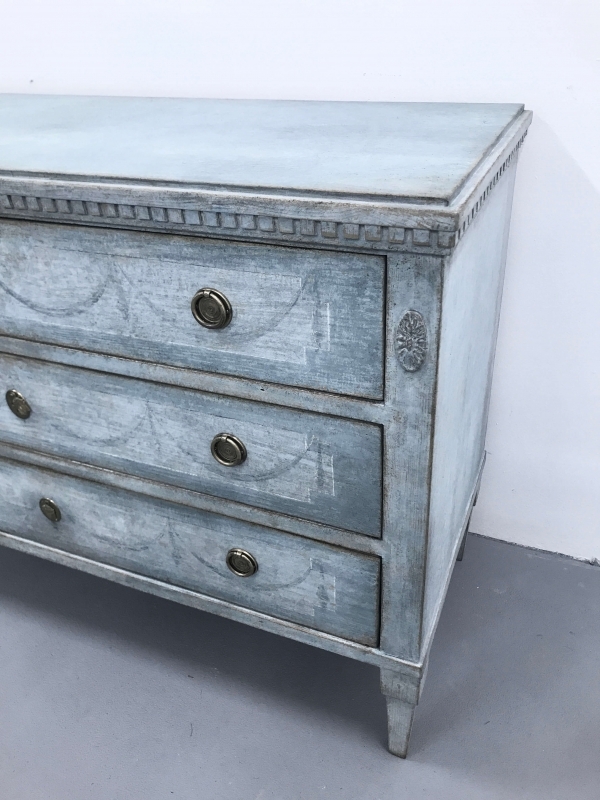 The dresser is in blue-gray color. 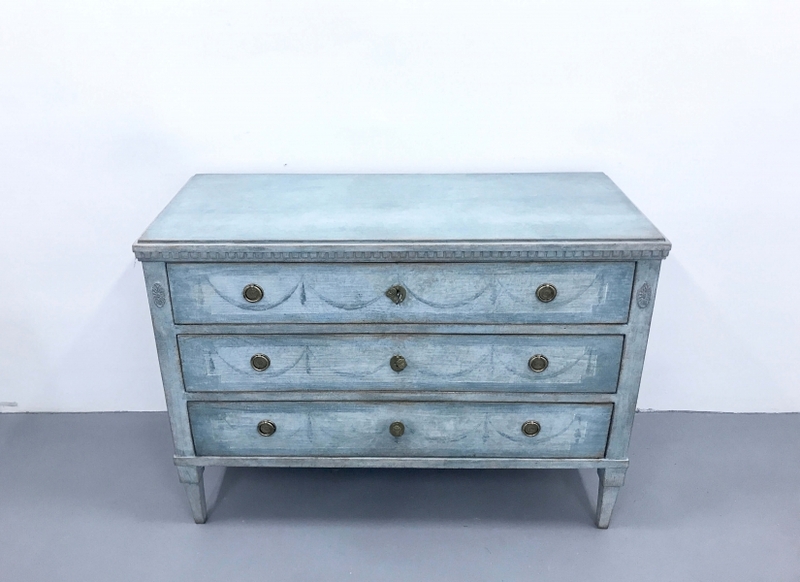 On the front are painted Gustavian motifs. 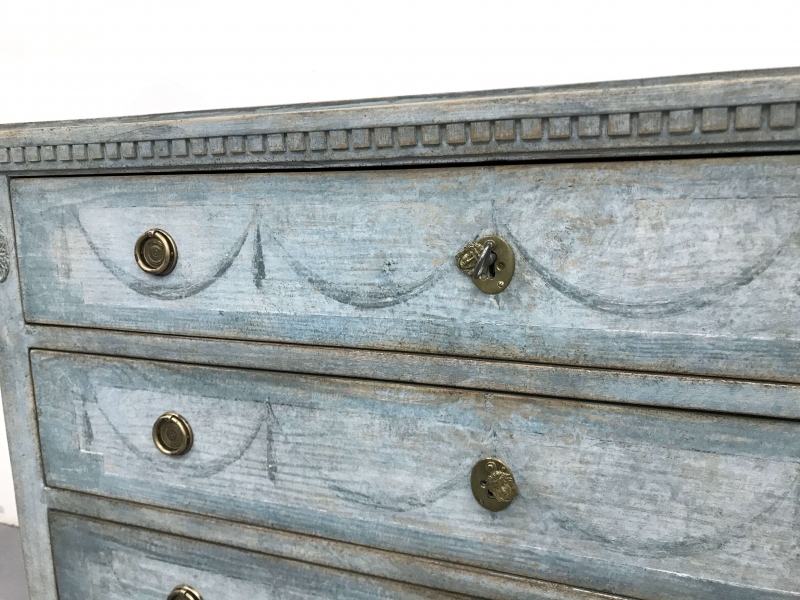 The edges are with delicate decorations. Legs are classic, narrow downwards. Age ca 1820.